Many of our Kovalam residents are experiencing an unexpected but pleasant change! The Banyan has undertaken a large-scale renovation project in the Kovalam Protected Community that necessitated a change in residential quarters for our clients. The residential cottages in Kovalam will be undergoing repairs and renovation over the next year. While we are excited for upgraded facilities, this project presented us with the arduous task of temporarily relocating our clients. Adaikalam, The Banyan’s Transit Care Centre in Mogappair, had space for 20 of these clients, but the majority still needed a home for the next year. Fortunately, one of our OP clients, Mr. Parthipan suggested a beautiful group of houses close to Kovalam. 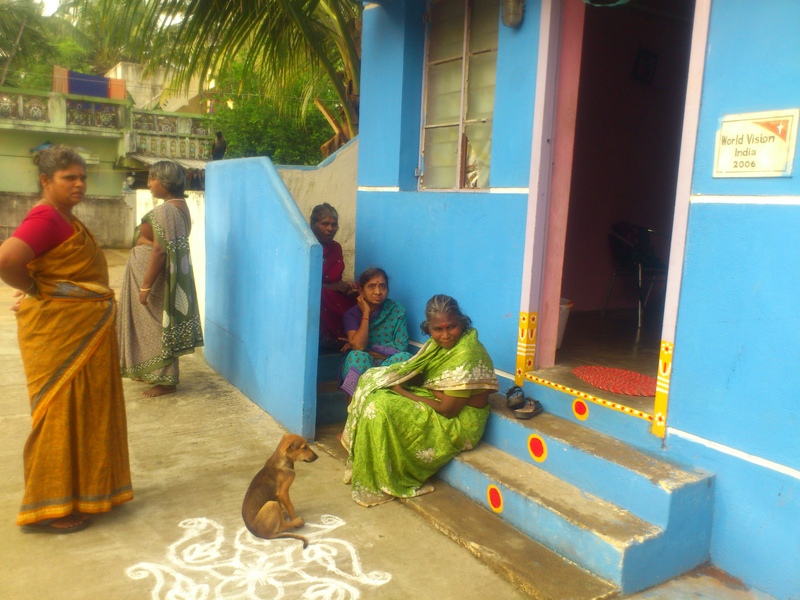 We have successfully relocated our residents to these new homes in Perur. After the clients relocated, staff member Ms. Mary Helen made a trip to see how they were adjusting. She was thrilled to see that the residents felt perfectly at home! She also reported that the area has a pleasant climate, being situated near the seashore. With large open rooms and quiet courtyards, the neighbourhood has a cosy feel. All visitors have noted that the Perur homes are maintained very well! 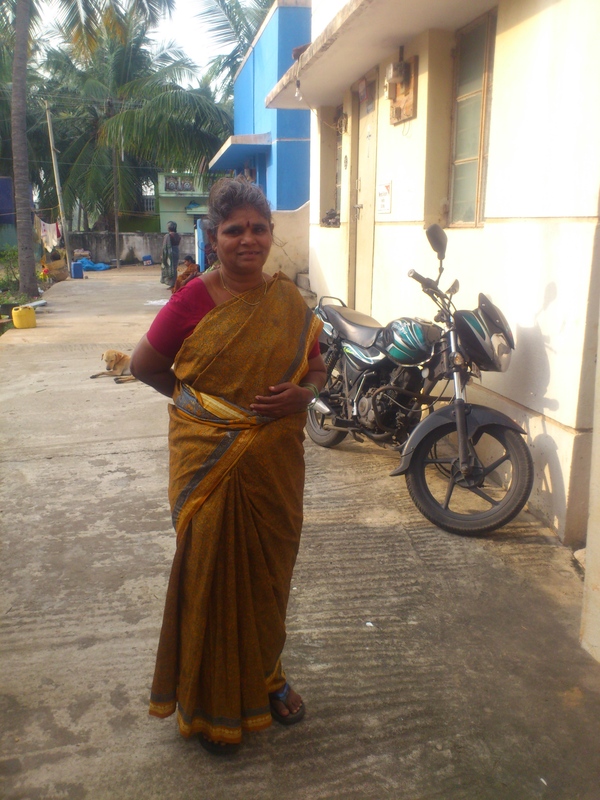 Ms. Lalitha, the Senior Health Care worker at this facility, has incorporated a detailed schedule for running the houses. Three Banyan staff members have been assigned to monitor each room. Under their care, the clients finish taking their baths by 7 am and promptly take their medicines and breakfast. 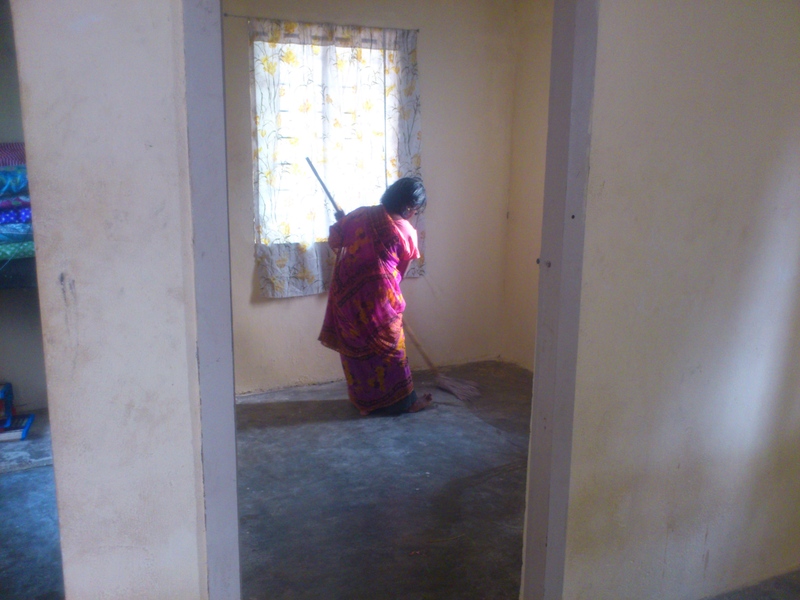 In the mornings, the residents can be seen busily cleaning and arranging their rooms and common areas, under the guidance of various health care workers. Ms. Helen reports that all of the rooms are well arranged with bedding and mats folded neatly in the corner. 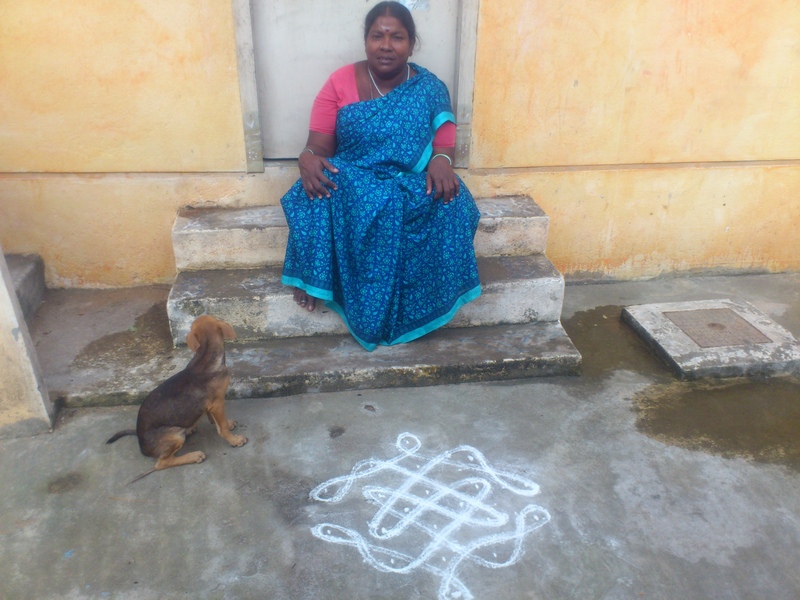 The small courtyards also provide the clients with opportunities for drawing their own kolams. After speaking with several residents, it is clear that everyone is incredibly happy with the Perur facility. What is really special about these homes, is that the residents are now a part of a greater community. They have many opportunities to interact with the large neighborhood. We are sure it will be an enriching experience for them! You and your volunteers are doing a great job Vandana.May god bless you for your future projects.